This time of year there is no better place to spread the message of peace on Earth than at your local shopping maul. 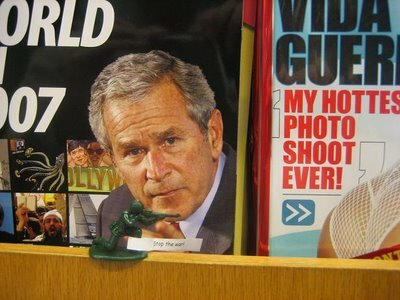 Strategic placement of kommandos throughout stores and common areas are bound to catch the eye of frantic consumers. Today I deployed several kommandos throughout South Coast Plaza, the third largest shopping mall in the United States. 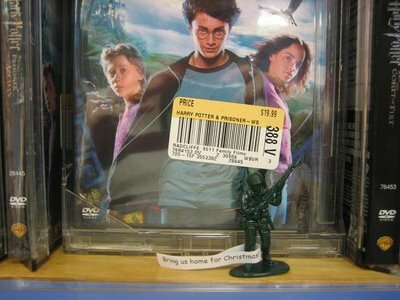 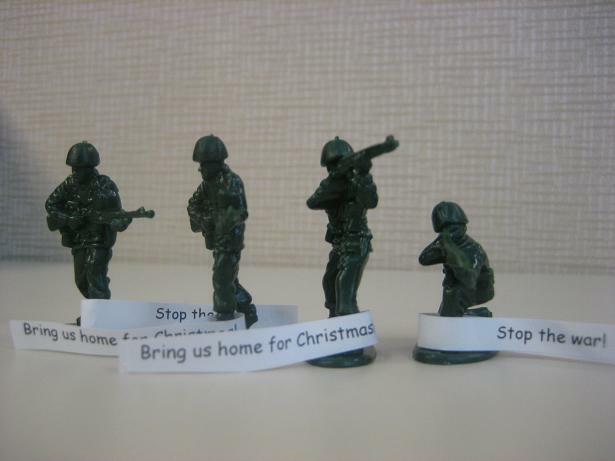 Each soldier was equipped with the message "Bring us home for Christmas" and "Stop the War". 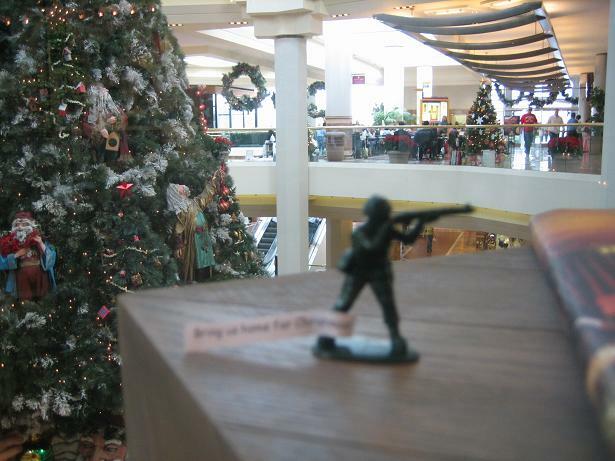 My goal - to wake up OC shoppers from their gift-snatching slumber. After scattering troops throughout the common areas we moved into Borders bookstore. 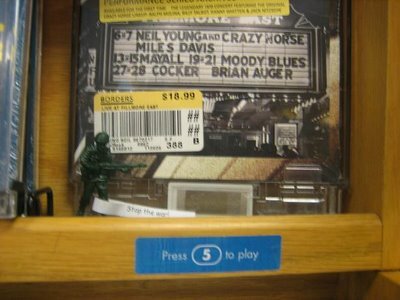 I hit up the newly released racks by the checkout counter and then moved into the music section. Lastly, we attacked the bustling magazine rack and found one concerned-looking dude.